Founder & Managing Trustee. A double graduate in Law and Psychology/Sociology, her prime focus is an inclusive society where People with Disabilities are empowered. After many years of volunteering with NGOs around the country and working with people with different disabilities, she founded EKansh and works personally on every project from conception to conclusion.She ensures that EKansh has a holistic approach to disabilities and related issues. Anita Narayan is guest lecturer at MIT - College of Design, Loni. She has organized/conducted several workshops/sessions as resource expert at BNCA, IIT Rourkee, NASA [Arch]- North, West and South zone conventions, NICMAR, NIASA, Symbiosis Institutes, MICA, SPA- Vijaywada, etc. She has also mentored students interested in Barrier Free/Disabled Friendly Architecture/Design. She leads the team in sensitization sessions for companies/corporate houses that are [or are looking to be] equal opportunity employers. She has designed and conducted a course in Disability Awarenss & Inclusion in collaboration with St. Mira's College for Girls, Pune. She has also conducted a day long session for professors from all streams from the well known Symbiosis Group of Institutes in Pune on Disability and related issues. EKansh Trust also ran a 2 day workshop in collaboration with SNDT WU Dept of Special Education, Mumbai on the basics of Shadow Teaching. From 2007 till date, she has been at the helm of each project undertaken by her trust. A staunch advocate of inclusion in Education and Employment, she ensures that EKansh collaborates with those who have a similar vision. She is a qualified, experienced and independent accessibility consultant and EKansh Trust is empanelled by the Government of India under her expertise for access audits of Government Buildings.She is also empanelled as an Access Audit Trainer with the GoI. Bhakti Karia : ​Co- Trustee From a family of Hoteliers, she is the silent supporter of the Inclusion journey that EKansh has undertaken. Namita Thapar, COO Emcure Pharmaceuticals and the head of YEA, India is on our board of advisers. She has been very supportive of our work for several years. 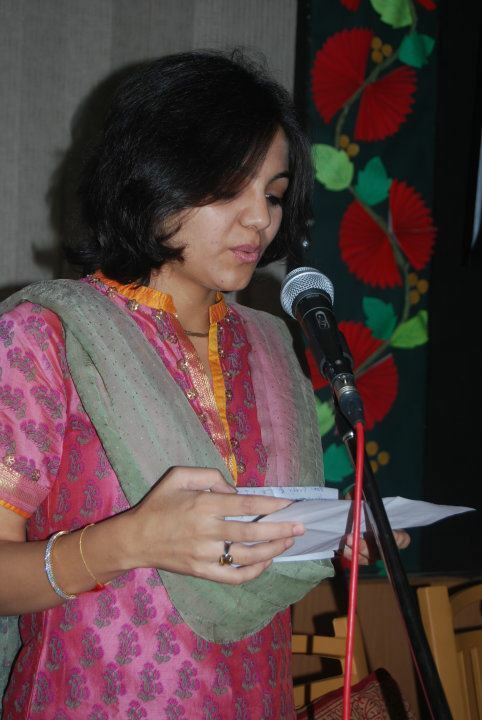 Geetanjali Joshi: Member and volunteer Daughter of a well known writer and a social worker in her own right, Geetanjali brings her literary sensibilities to the table as our "Marathi - English " consultant and member/volunteer. Mona Jacob: Member & Volunteer: She has been part of our team from the first event onwards and brings her artistic and logical thinking to the table. Ex Member and volunteer, EKansh Trust. 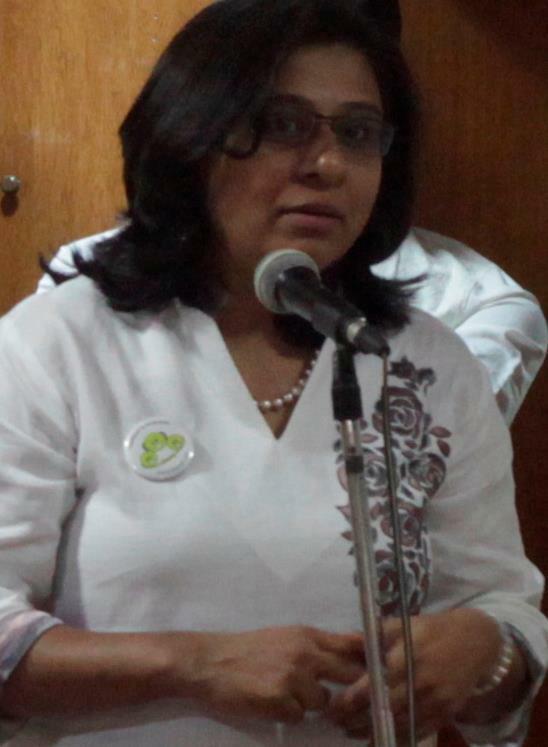 ​Aparna Modak: Chief coordinator and our only staff member. [TISS MSW] comes with many years of experience of working at grass root level. Her fluency in Marathi and articulate interaction with the Anganwadi workers of urban slums under PMC have made our awareness programs in disability prevention, detection and early intervention a huge success. Her rapport with our trainees and candidates is also commendable. As a "Not for Profit Organization", we keep our team really small. However, we have had, and continue to have the good fortune of the support of several esteemed volunteers. And many others who have gifted us their time and effort.